Today’s post is a variety pack of information. First, the unveiling of my new, beautiful, baby… my updated blog!! Isn’t it fantastic? Bear with me as I work to get a mobile version up as quickly as possible. I owe Yannick Poitras a huge debt of gratitude for pulling this together, for listening to my indecisiveness day in and day out as I strained to wrap my mind around what exactly I envisioned for this page and for being at my beckon call (for the most part) as we worked to create a masterpiece. 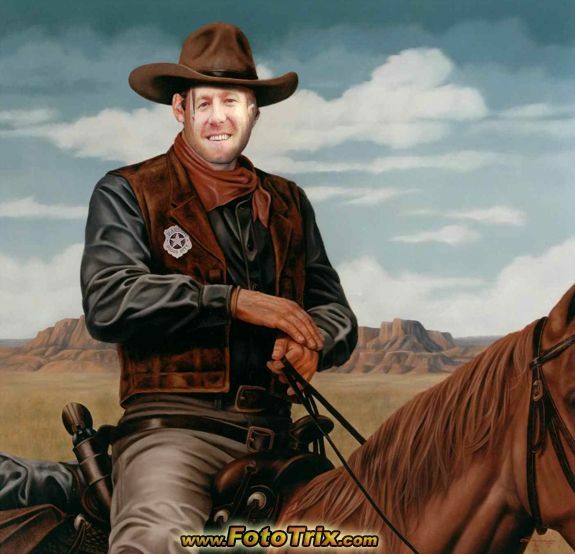 Thank you Yannick, you have achieved an outstanding vision for a jessplusthemess blog. I can not speak highly enough of this man if you need a media/internet/web sort of person (obviously I am not the expert). Thank you Jess for allowing me to introduce myself on your blog! My name is Yannick Poitras, and I operate a website creation business called Evoluweb. Along with designing websites, I am also able to offer my expertise in the areas of online marketing campaigns which can create better visibility for their business by using Google Adwords and Facebook campaigns, to name a few. In addition, for presentation and marketing tools, I can provide business cards, brochures, banners, magnets, and calendars. I reside in Quebec City but in my line of work, I have the opportunity to evolve in a domain without allowing borders to hinder; thus an amazing project like Jess’s website comes to be. I am eager about the possibility of advancing beyond Quebec City and into new territories, and I will be more than pleased and honored to collaborate on new projects. I believe the passion that I put forth in my work overly compensates for any perceived disadvantage distance may present. Feel free to contact me via the chat tool on my website. I hope to hear from you soon! Second, our first radio broadcast finally has a link, check it out in the media section if you have a minute; if nothing else, it’s a pretty entertaining listen for 20 minutes or so. Finally, my brother Elijah Bossenbroek, world famous pianist who composes his own music, in fact you’re hearing one of his most popular songs now, is hooking up the first 100 new Jessplusthemess blog subscribers with a code for a free song! Believe me the guy can play; it’s seriously an out of this world kind of gift that the Lord has bestowed upon his fingers. Plug in your email address in the blue box on the left where it says subscribe now, wait for the code to show up in your inbox, (could take up to 7 days) and then go to www.elijahbossenbroek.com/dl to redeem the code. That’s it! Grab a glass of wine or some tea, sit back, and sink into peaceful tranquility as the breathtaking sounds of his magical fingers transport you to faraway enchanted lands; at least for like 5 minutes or so and then reality is bound to slap you out of that fantasy real fast, especially if you have children. But enjoy nonetheless. “Oh…. She must be talking about when I took her to Walmart the other day and we looked at princess bikes” I explained, not batting an eye. My husband looked on mortified at my ability to achieve such a statement with utter sincerity. I justified it later with the example of a wife asking if she looks fat in a dress and the husband says no even though she really does look fat. EXACT same sort of scenario – in my opinion. This morning, bright and early, he was given his “surprise” birthday gift. He loved it. Over the past few days there has been quite a bit of deliberation over what the birthday boy wanted for his birthday dinner. He finally decided that it would be crepes with strawberries and whipped cream along with scrambled eggs and bacon. His wish was his mother’s command, voila’! The feast was completely consumed by all. And mom even had a little bit of time and energy left over to make some chocolate banana bread for tomorrow morning. Posted in My StoryTagged Homemaking, life, parenting, Ramblings1 Comment on Tate Turns Ten! Ryan and I had a live radio interview on May 20th in the morning, on 1260 the Pledge. 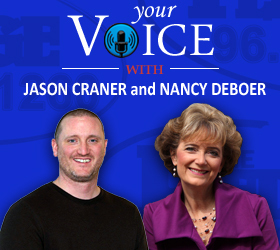 To listen to the interview, go to the Your Voice page (with Jason Craner and Nancy Deboer), and play the (Your Voice highlight #1). It was around 11 the other night, Ryan and I were in bed watching the New York/Indiana basketball game. I was tired and ready to go to sleep and so I said, not in a super kind voice, “Do you think we could turn the tv off and go to sleep?” I cannot sleep with any hint of light or noise, and in fact, I’m about the pickiest sleeper alive, going so far as to bring my pillow, fan, and sleeping pills whenever I go on vacation anywhere. My husband didn’t acknowledge my request, so deeply engrossed in the program, and so I repeated the suggestion, removing any hint of kindness and adding a nice dose of annoyance, “Honey, I’m tired can we turn off the tv?” He muttered, uh huh, or maybe it was huh, but whatever his response was, I decided to take matters into my own hands, and I did what most exacerbated, exhausted wives would do, I reached over, took the remote off the nightstand and quickly pushed the big orange off button. Ryan, a bit perplexed as to what had just happened, turned to face me and said, “Why did you do that?” I replied, “I said, I’m tired.” He then turned, faced me square on, and did something I have never experienced from him before. I have been admonishing him for the past two years to share his feelings with me. I’ve been encouraging him to stand up for what he wants in our marriage and to voice it, and I’ve been asking him to not let me or anyone else walk all over him because he can have a bit of a pleaser personality. I did not want and would not have a marriage where my husband remained silent all the time to keep the peace while inwardly resenting me – that’s not trust, communication, or much of a marriage to me. Honestly, that situation could have been ugly. I don’t take being called out on anything real well; especially when I’m tired, but in that moment, I have never felt more respect or admiration for the man lying beside me in bed. He advanced in my esteem from a pretty cute, fun husband to someone along the lines of a rugged, fearless cowboy of the Wild West and that’s a good image for any wife to have when it comes to her man.